This book is about practical, ethical, and compassion approaches to life, a handful of beautifully crafted common sense. It is an inspirational gift to humanity that can liberate you. It can shake you up, wake you up, and raise your consciousness. 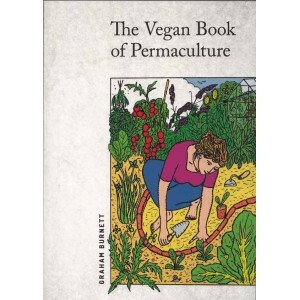 The ideal introduction to permaculture living and land use. Published by Permanent Publications in partnership with Spiralseed, The Vegan Book of Permculture is a vegan cookbook packed with wholesome recipes, veganic growing, forest gardening and eco-friendly living. A new revised edition with a glossy colour cover!